In early November, we had a significant problem with the engine/gearbox. I was unable to get into 1st, 3rd or 5th gears. Fortunately 2nd and 4th got us out of trouble and to safety. 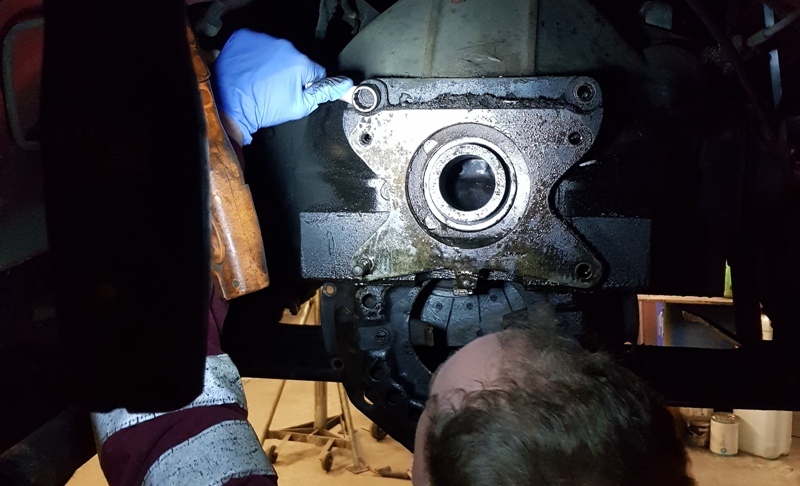 Our engineers at Ward Jones discovered that 3 of the 7 bolts that hold the gearbox and clutch to the main engine housing were stripped. I still had to fulfill bookings in Hull and London before the year was finished so in the short term some strapping was fixed to hold it together and I used Bicester Sweepers to haul the cinema to the two bookings. This was not a long term solution. There were two alternatives. 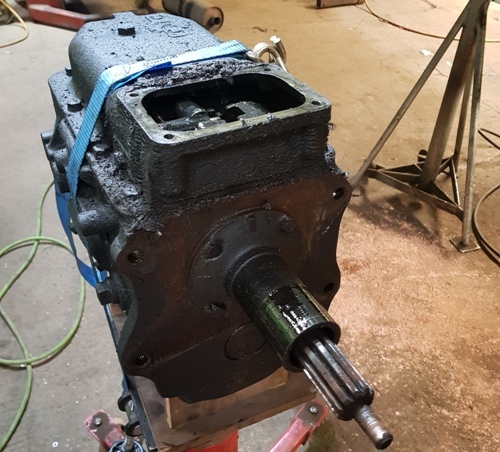 Drill-out the offending holes and replace with helicoils, refixing the old engine in the process. Or fit a new more modern engine. The new engine was a favourable route as this will be required down the line when the cinema has to pull the trailer. The current 330 diesel engine is not as powerful as the original 300 petrol engine (Around 30bhp less). However, when it came to it, we went the helicoil route although it has to be said, given the long term plans, this is a stay of execution for the current engine. In late January, Audrey went to Ward Jones to have the helicoil work done. Whilst Helicoils are a relatively simple job, it’s always best to get an expert to do the work. And Ward Jones outsourced the job to someone else. Although Ward Jones removed the gearbox and clutch for the mechanic to gain access. Once he had access, it became apparent that the current bolts were only using a propotion of the thread available. And actually, there was about an inch of thread to spare on all the bolt holes. So instead of using helicoils, the mechanic chose to use longer bolts instead! A much simpler solution. Whilst Audrey was lifted up and everything had been taken off, Ward Jones chose to change the clutch in the process. The old one was showing a lot of wear. The next booking was the trip down to Twickenham for the England v Wales 6-nations game. Audrey drove there and back in some lovely weather without any problem at all. All in all, a fairy simple solution. 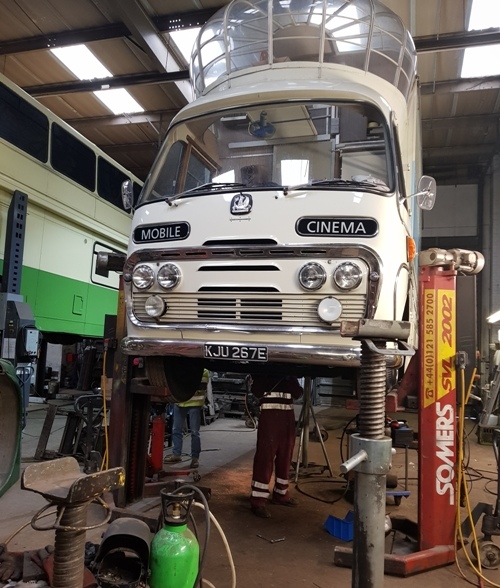 However, we will need to revisit the engine at the stage when the trailer needs to be pulled to bookings.